Language education always works better with teaching tools. Laminators allow educators to make useful flashcards that are durable and waterproof, sparing classroom budgets for more important things (like class trips to a Spanish restaurant!) In fact, 93% of all teachers say flashcards help students learn languages. The names of animals in Spanish is a helpful approach to teaching young children Spanish. Use Animal Name Flash Cards to make a game out of learning. Learning words useful for travel makes that class trip more meaningful. Use Spanish-English Travel Flash Cards to get kids ready to speak fluently to the waiter at the Spanish restaurant. Need help selecting the right laminator? Click Here. Research shows that teachers typically spend between 4 to 6 weeks re-teaching material that students have forgotten over the summer. So how can learning over the summer be fun? Here are some fun homemade flash cards you can make in minutes with a laminator. Try flashcards for basic English. These free downloadable templates can get young minds thinking. Want kids to start Spanish? Try these fun and stimulating flash card templates. For some kids, it will be their first day of school ever. 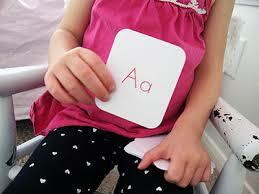 Get them confident for preschool or kindergarten with alphabet flashcards. If your kids struggle with math, these fun math flash cards make the subject accessible and fun. In a study of by the Montessori Primary Classroom of laminated teaching materials, square vs. rounded flashcards were tested for their engagement among children. Results showed that children were more likely to handle and interact with the rounded cards. The study came as a result of children pricking their fingers on square edge flashcards and thus tending not to use them. On average, each classroom saw the rounded cards used 1.54 times more per day or 7.7 times more per week. Between 80% and 100% of responding teachers rated the rounded corner cards excellent in the measured areas. The children in the study commented on the edge of the square cards as being “pokey” while no comments were made on the rounded corner cards. In addition the study revealed that cards laminated thinner than 1.5 mil became difficult for children to pick up, leading to a greater thickness recommendation for flash cards overall.